Google is the most popular search engine. Today iweblogsite will discuss about "11 Google Apps Product Which Should be Used For Professional Bloggers". Whatever problem my friend has, google have a solution. This google miracle then makes the bloggers trying to get google heart to be featured on the first page of google. Google has provided several applications that can be used for blogger blogs to support their activities every day in an effort to reach the first page. 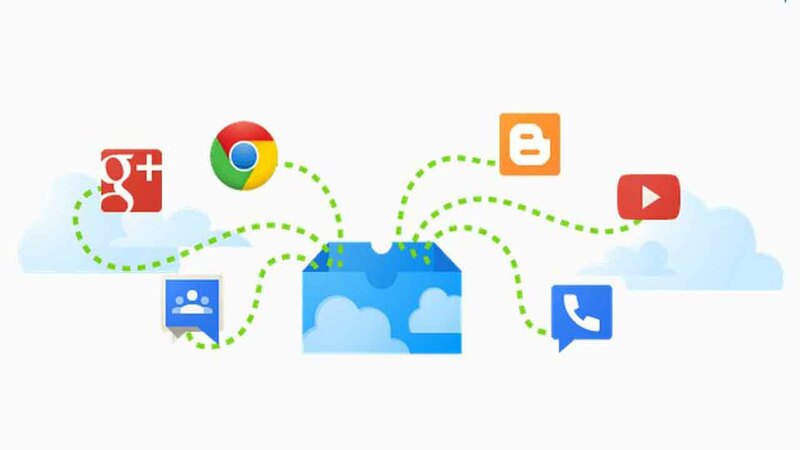 Many applications provided by google, and there are 10 application options that are very usefull and obligatory to use for blogger. Maybe for amateur bloggers, this app still sounds familiar. However, for profesional bloggers, this application has become mandatory and widely used to create experiments aimed at improving the quality of blogs to be popular quickly. What are the 10 applications, here I summarized in 10 google applications that must be used by bloggers. Getting confused for searching keywords and popular news every day through google search engine? You can use this google app, Google Trends. This application can facilitate my friend in searching for keywords that are popular searchable google. By getting popular keywords, it can automatically boost your blog visitors. You can search for keywords based on the intended country, that means, this application has a filter so that the targeted keywords are getting targeted properly. Google Images is a search service created by Google and introduced in July 2001. This service allows users to search the image content on their blog or website. As a blogger, you certainly need a copyright-free photo for the benefit of a post on the blog. Therefore this application is very useful for the bloggers. Perhaps this one application is familiar to you who have long about the blog, and probably almost every time you use this application to search for keywords for the purpose of posting articles. Initially, this application is not intended for bloggers, but for advertisers who are searching for the most search keywords to put an ad through google with keyword shooting. But apparently, this application became popular to search and see certain keyword statistics in order to increase blog visitors. If you are interested, go directly to google adwords now, for free. The next important application is webmaster tools or more familiarly called google search console. This application has many functions to improve blog quality. What are bloggers doing in this app? First, verify the site to google webmaster. Then submit sitemap and blog url to google webmaster for indexed google search. In addition, this application can also be used to remove URLs that have died or you can delete the blog, View the status of blog index, View the structure of the blog and much more. Want to place an ad on google or google adsense search? Then this is the right app for you. However you have to pay if advertising through this google product. This app is one of google's revenue sources of every advertiser who advertise through google or google adsense network. Every ad that is installed, will appear in google depending on keywords that have been targeted by the advertiser. Or appear in blogs in the so-called adsense ads. One of the most popular features in it is the google keywor planner that I mentioned earlier. Are you interested in web promotion through google ad service? If google adword to advertise, then google adsense is a google product that displays the ad. This is a widely used service blogger publisher to get dollars. Google adsense is a service to earn money by displaying ads on your blog. You can earn 1 million, 10 million even up to hundreds of millions just from showing ads on blogs. Very seductive is not it? Let's register your blog to Google Adsense now .. This is an app that sounds familiar to you. I explain a bit about this google product. Google Alert is a google app that serves to let you know that there are new articles published based on the keywords we have entered into google alert. Notifications usually get into your email address. This application has a link indirectly with the name backlinks, I'm sure you already know what is a backlink. Every blogger would really want a quality backlink instead. One way to get backlinks is to comment and leave a trail on another blog post or another site. You must be the first to comment to get the maximum backlink. However, to get the first column on the comment, certainly not easy. So, with the google alert app, you can do it because you will get a notification if there is a new article published in accordance with keywor you enter. Are you a blogger who is hungry for new news? if true, google apps this one can be a reference for you. Google news is a google app that serves as a container of current news information. Here you can find ideas or insipari to write articles on your blog. In addition to translating the language, google translate you can use to create articles in English. But you must be careful, because sometimes or even often the result of translate messy and unreadable. However, this application you can try if you want to feel writing articles in a foreign language. Because google translate has a database of languages from around the world. Already familiar with google apps on this one? If not, let's get acquainted with this google product. The google analytic application generally works to view blog statistics such as viewing the current number of online users, the number of visitors, the number of blog pageviews, and other statistics related to your blog. So, with this app, you can monitor your favorite blog activity easily and practically. And of course with no cost at all. Cool is'nt? Maybe this application is not as popular as twitter or facebook, but this application has a great influence in boosting blog visitors. This application has millions of users who are certainly very potential to generate many visitors into our blog. If you can maximize the use of social media this one, it is not impossible your blog quickly popular. Oke that's all about 11 Google Apps Product Which Should be Used For Professional Bloggers. If you think this post usefull, then please share the url to the others. And do not forget to leave your comment below. Thanks for visiting iweblogsite.